French President warns the use of chemical weapons in Syria would result in reprisals. The use of chemical weapons in Syria is a red line for France and would result in reprisals, President Emmanuel Macron warned on Monday, after meeting his Russian counterpart Vladimir Putin. Speaking at a news conference following the meeting and quoted by AFP, Macron said that France and Russia must cooperate to "eradicate terrorist groups" in Syria and did not directly criticize Moscow's role there. France and Russia back different sides in the Syrian conflict, with Putin supporting President Bashar Al-Assad and Macron part of a western coalition that supports rebel groups and has accused Assad of using chemical weapons in the past. Macron said it was essential to talk with all actors in the Syria conflict, including representatives of Assad. "Our two countries will cooperate on Syria, this is essential," Macron said. "We need strong cooperation because we have a joint priority, which is the fight against terrorism." France has in the past insisted that Assad step down, but that stance appeared to change in late 2015, when then-Foreign Minister Laurent Fabius said that Assad's departure is no longer necessary before any political transition in the war-torn country. Macron on Monday said he wanted Paris and Moscow to bolster intelligence sharing on Syria and to work together on finding a political solution to the conflict, but gave no details on what a political deal might look like. Macron's warning of French retaliation in the event chemical weapons are used in Syria echo the line taken by U.S. President Donald Trump, who in April ordered cruise missile strikes in retaliation for a chemical weapons attack in Khan Sheikhun that Washington and France blamed on Damascus. 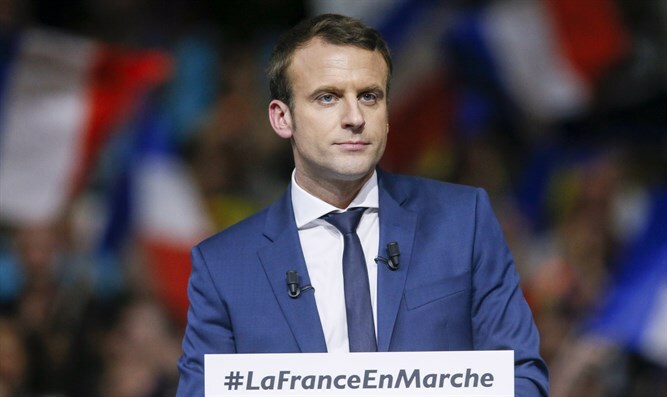 "Any use of chemical weapons would results in reprisals and an immediate riposte, at least where France is concerned," Macron said, according to AFP. Western governments have accused Assad’s government of being behind several chemical weapons attacks in the country, but Assad has repeatedly denied his government has any chemical weapons after agreeing to give them up to international monitors in 2013. In fact, Assad claimed last month that the Khan Sheikhun attack was fabricated by the United States, insisting the Syrian army had already relinquished its chemical weapons reservoir.